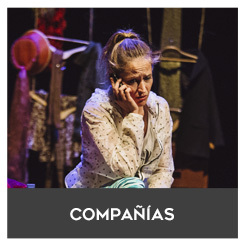 The Fair’s main target consists of promoting the latest professional theatrical productions coming from both the national and international market,paying special attention to those companies from Castilla y León, Extremadura and Portugal. The event is configured as a point of encounter and as a space for promoting creativity through the offering of opportunities to encourage the market dynamics in the field and put it into artistic value. 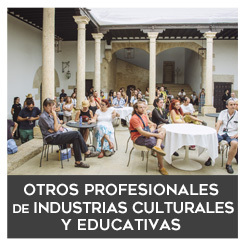 Professional companies interested in presenting their live performances at the Theatre Fair have to formalize their registration online on the website www.feriadeteatro.es before March 15 2019, committing thus to fulfil the conditions of participation. Companies can present more than one show, as long as they meet the minimum requirements. - The fact that the show fits in the different areas of programming during the Fair. - Interest and facilities given by participating in the Fair. - The interest created amongst professionals and audience attending the Fair. - The proposal of premiere during the Fair and the proposal of premiere in Spanish language will be positively valued. - Priority will be given to performances of the years 2018-2019 or those which have not been premiered in Spain or in Spanish. In any case, shows premiered before May 31 2017 will not be valued. Those proposals adjusting to the spatial and technical available conditions, showing quality, innovation and creativity in every level and developing new dramatic possibilities, will be chosen with the aim of creating a dynamic, balanced and striking programming. • Children’s Theatre and theatre addressed towards a familiar and youthful audience. • Classic and contemporary theatre, drama, new drama, comedy, musical, clown, sketch and pantomime. • Street Arts: circus, passacaglie, itinerant shows. • Multidisciplinary shows, interactive installations and performances. • Genuine proposals, micro theatre works, forum theatre etc. The Fair will be able to schedule shows indoor, outdoor, in street and shows designed for genuine and specific spaces. Companies are allowed to submit more than one show, on the condition that they fulfill the minimum quality requirements. 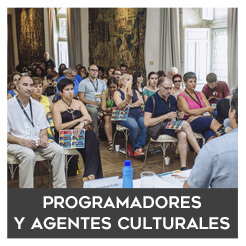 Presentations addressed towards professionals: The Fair offers a specific section within the dynamics of encounters between companies and representative cultural operators (programmers, distributors and producers) devoted to the presentation of work-in-progress shows. Proposals must be submitted by e-mail to the Fair Office attaching all the documentation that the companies consider necessary and explaining the proposal put forward to consideration (short presentations in stage, showcases, work-in-progress, communication…). Activities dealing with the promotion of performing arts: training and learning proposals, theatre pedagogy activities and other activities that the companies consider suitable to develop under the scope of the Fair and targeted towards social collectives (young people, children…). Proposals of this kind must be submitted by e-mail to the Fair’s Office attaching an explaining dossier. The Fair will study those proposals of participation in the event that can be propounded as complementary activities, in which case, the financial conditions of participation would be discussed. Registration in the Fair implies the acceptance of all the selection foundations, norms, conditions, commitments and criteria, valuation and programming. All the proposals will be properly studied and valued and the companies will be informed of the state of their submissions when the processes of selection and the design of the programming are finished. Pay a percentage of the selected show fee (there is a possibility of negotiating with each company). We are aware of the interest showed by the companies in presenting their work In the Fair and of the benefits they get if selected; therefore,in each negotiation special circumstances linked to travelling expenses or the use of disposable material (pyrotechnics etc.) will be considered, taking into account the added cost in the selection process. Provide with the technical infrastructure (lighting, sound, loading and downloading) considered necessary for the development of the theatrical production. In order to do this, the technical sheet must have been submitted and agreed before the stated deadline and confirmed by the Fair’s Technical Management Team. Pay for the company’s accommodationand boarding expenses (technical and artistic staff) the day of the mounting and the day of the show performance. Provide a representative of the company with accreditation for all the days in which the Fair takes place and give this person accommodation to make his or her marketing tasks easier. The Fair, through its Press Office, will promote the direct contact between companies and the media and specialized magazines; in addition, the information about the company will be included in every generic Fair’s advertisement. 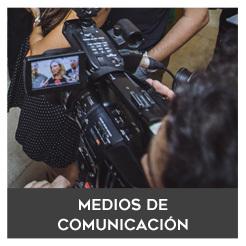 The Fair will encourage every programmer, distributor, critic and journalist with a considerable capacity for programming and disseminating, to attend the company’s show. The Fair will also provide the companies with the list of those people in order to achieve a better and more direct promotion of its work. The Fair offers the possibility of including in the VIRTUAL FAIR all the works that have not been selected for promotion activities. Fill the Registration Form and submit all the required information and documentation to the Fair’s Organization Office before thedeadline of presentation is reached. Acquire acompromise with the Fair througha written acceptance contract of the financial, technical and accommodation conditions. If this contract is subsequently broken, both the Companies and the Fair will assume the further legal consequences of this action. Present in the Fair the same show with the same conditions and cast which the registration form shows. If not, the Fair will be entitled to cancel the previous contract. Provide the Fair with all the advertising means for accomplishing a correct show broadcasting. Reply, five months later after the show has been performed by the companies in the Fair, a questionnaire required by the Fair about contacts and contracts. The online submission of the registration form duly completed in all its sections (including the annexe of the technical specifications sheet). Applicants must ensure password is generated. Important: it is necessary to attach the full video of the performance (except from premiere proposals which do not have a video yet). The organization of the Fair is grateful to receive the videos in DVD or USB format by means of postal mail. Links are also accepted although only through online viewing platforms. Links which imply the download of the video on our equipment will not be accepted. Additional documentation on the shows proposed to premiere in the Fair or on complementary activities that cannot be sent by e-mail will only be admitted if delivered by regular post (dossier, photographs…). Companies can send the Registration Forms and the required material until 16th March 2018. If the Registration Form is not sent before the established deadline through the webpage, this application will be rejected. Data sent by the company will be used, in the case it is selected, for advertising and contract purposes. If the company modifies these data, this fact must be communicated to the Fair during the 15 days following its selection. If this is not done, Fair’s Organization will not responsible for the use of the wrong data in advertising. The sent video will become part of the documentary files of the Theatre Fair’s Library. All the registered companies will be reported on the result of the selection before june 15th. The Artistic Selection Committee will be composed by representative agents of the “Servicio de Promoción Cultural de la Junta de Castilla y León” (Junta de Castilla y León Cultural Promotion Service), Fair’s Management and Organization Team and by other well-known and high-profile names with a long experience in the field of performing arts. The nominal configuration of this Committee, created as a group of work with the aim of counselling, selecting and collaborating with the Fair’s Management Team, will be made public once the show selection for the promoting activities is completed and once the programming is published.